We are living in tumultuous times. Our government is beholden to corporate interests and more corrupt than ever. The rich are getting richer and the poor are getting poorer. Central bank policy, war, natural disasters, and special interests have put us into debt like no period before us. Anyone who cares about our future as a nation, and the future of their children, needs to be informed. One of the few ways to get the unabated facts these days is to read books. Our editor has selected this list of books which provide a wealth of information about current events and important issues that face our nation and the world overall. John Perkins started and stopped writing Confessions of an Economic Hit Man four times over 20 years. He says he was threatened and bribed in an effort to kill the project, but after 9/11 he finally decided to go through with this expose of his former professional life. Perkins, a former chief economist at Boston strategic-consulting firm Chas. T. Main, says he was an "economic hit man" for 10 years, helping U.S. intelligence agencies and multinationals cajole and blackmail foreign leaders into serving U.S. foreign policy and awarding lucrative contracts to American business. "Economic hit men (EHMs) are highly paid professionals who cheat countries around the globe out of trillions of dollars," Perkins writes. Confessions of an Economic Hit Man is an extraordinary and gripping tale of intrigue and dark machinations. 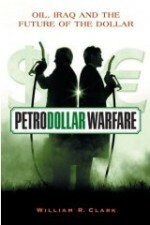 Meticulously researched, Petrodollar Warfare examines US dollar hegemony and the unsustainable macroeconomics of 'petrodollar recycling,' pointing out that the issues underlying the Iraq war also apply to geostrategic tensions between the United States and other countries, including the member states of the European Union, Iran, Venezuela and Russia. The author warns that without changing course, the American experiment will end the way all empires end—with military overextension and subsequent economic decline. He recommends the multilateral pursuit of both energy and monetary reforms within a UN framework to create a more balanced global energy and monetary system—thereby reducing the possibility of future oil and oil currency-related warfare. Many Americans have wondered why prescription drugs have become so expensive while advertising for those drugs seems to grow exponentially. Former New England Journal of Medicine Editor Marcia Angell has some answers. The pharmaceutical industry, according to Angell, is fraught with corruption and doing a disservice to customers, the federal government, and to the medical establishment itself. Winner of the Polk Award.